Before we get onto the pictures from our trip, I just wanna do some shout outs. First of all, thanks to Lizzy, Chachel, Julia and Liz for promoting my lil’ contest. I’m really touched and happy because the responses increased! 😀 And also thanks to all of you who joined and wished me all the best with it! However, I still need at least 2 more people to join my competition. If no more people join, I’ll see what I can do. So until that happens, there won’t be a post this Monday about HARPs. It’ll be pushed into the next week. Thanks for cooking the dinner, mothers! My friend actually planned to have a late birthday party the week we went for the trip, but because of this trip, she couldn’t have one so her best friend baked this cake for her. My dad spotted this frog on the washing machine in the toilet. Who can resist the cool river? Some fish (I think they’re tadpoles) my brother and friends caught. It was a very relaxing and fun trip. The environment was awesome and the sound of the river was our music for 2 days. Another good thing was that we were the only ones there at that time! I would definitely like to go there again. Nice! 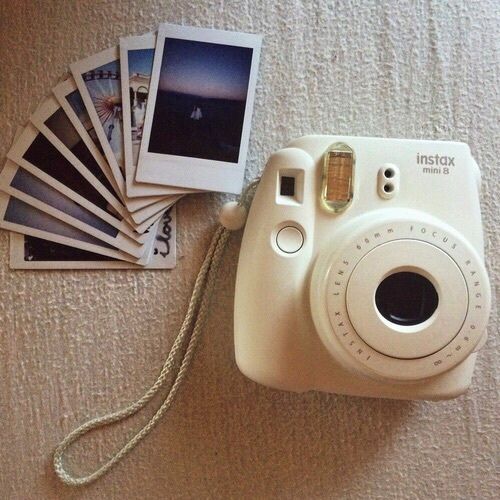 🙂 I want one of those polaroid camera’s! That place looks BEAUTIFUL!! I wanna go there…. That cake is making me hungry! If your contest isn’t filled up, I would love to join! It was! Well since you really want to do it… GO SIGN UP! The deadline actually already passes but the more the merrier! Okay thank you so much for signing up! It was a lot of fun!!!!!!!!! Thanks Lizzy! Aww I enjoyed seeing these photos! I love all of the wildlife you got to be around. 🙂 Ooh I can’t wait to start HARPs! I signed up! I’m so glad, Maggie! Yeah! Thanks! Thank you, Liz! yeah we sure did!